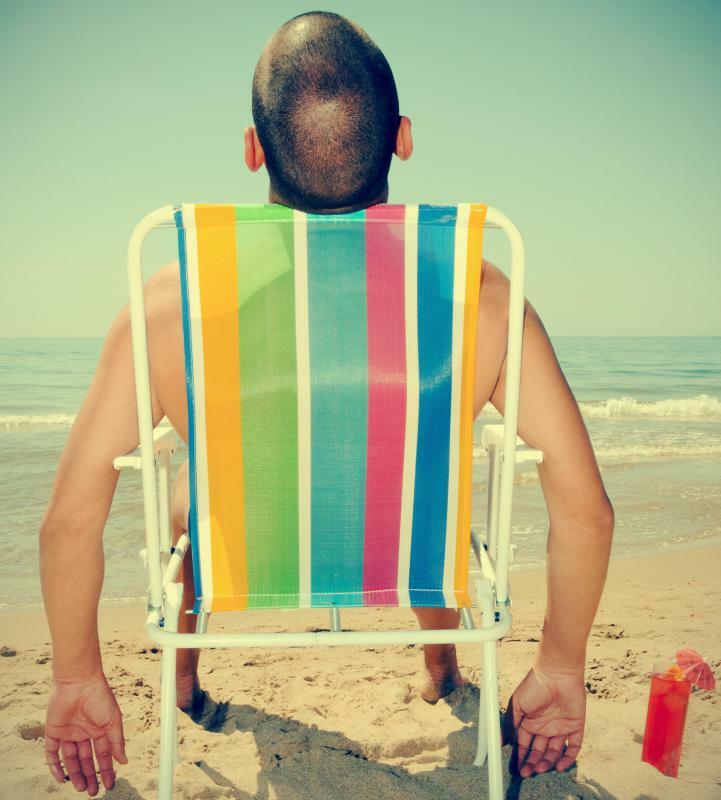 When selecting a collapsible beach chair, take the time to evaluate comfort, fit, and features. 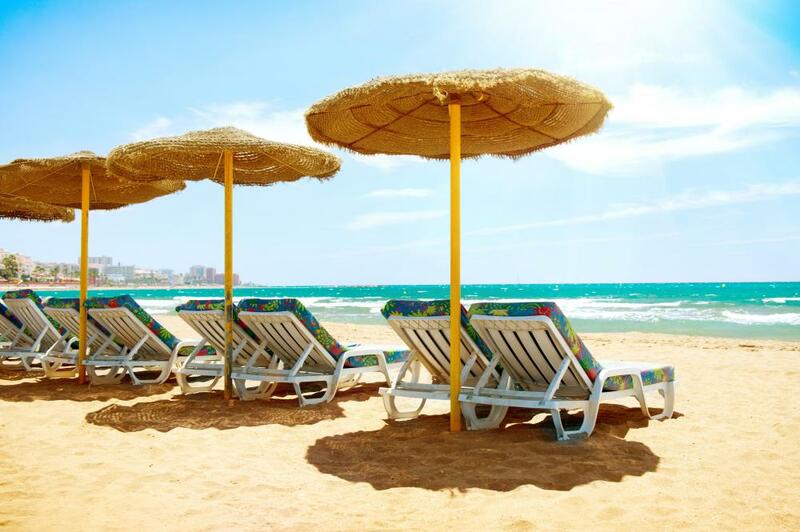 Some people may prefer a beach chair with a built-in umbrella to protect them from the sun. Buyers should look for a collapsible beach chair that's easy to setup and put away. A collapsible beach chair provides a convenient and comfortable place to sit during a day at the beach. These chairs fold up for easy storage and transport, then unfold to keep you out of the sand. Collapsible beach chairs are also popular at campgrounds, sporting events, and concerts. When selecting a collapsible beach chair, take the time to evaluate comfort, fit, and features to find the model that best meets your needs. One of the first things to consider when choosing a chair is the different types of seating positions each one offers. Some may only offer upright seating, while others unfold completely flat so you can stretch out. Test different chairs to find one that's large enough for your body and offers comfortable positions. It's also helpful to evaluate each chair's weight and portability. Try picking up each unit to see if you can carry it with ease, and look for models with convenient carry straps. Some may even fold into a backpack for easy transport. Next, determine whether each chair is small enough to fit in your vehicle and to carry through crowds at the beach or a concert. Buyers should also look for a collapsible beach chair that's easy to setup and put away. Fold and unfold each chair to check ease of setup, and look for a unit that you can refold and fit into your carrying case without a struggle. Make sure the chair remains unfolded and stable during use, and doesn't tend to collapse into itself. When choosing the best collapsible beach chair, look for a model that's easy to maintain. Choose materials that can easily be wiped clean after each use, and look for corrosion-resistant frames made from aluminum or stainless steel. Select a chair labeled “UV-Resistant” to minimize color fading over time. Compare colors and finishes to find one that you like. Finally, evaluate the different features available with each type of collapsible beach chair you're considering. Look for things like built-in foot rests or pillows for added comfort. Some buyers may also want one or more drink holders, which are built into the arms of the chair. If this feature is important to you, examine the size and configuration of each to find a drink holder that can accommodate your average drink. Some users may also want a chair with a built-in umbrella or cover to provide protection from the sun's rays. How do I Choose the Best Folding Chair in a Bag? How do I Choose the Best Heavy Duty Folding Chair? What Should I Look for in a Canopy Folding Chair? How do I Choose the Best Backpack Beach Chair?